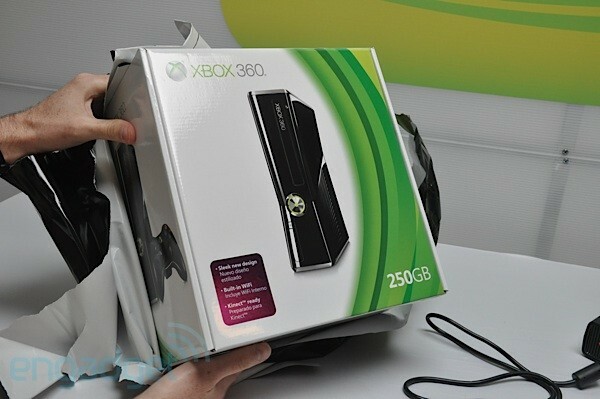 We had our unboxing already, but you're just days away from yours -- the new Xbox 360 Elite S (or whatever Microsoft plans to call it) is now available for preorder at the likes of Amazon, Newegg and GameStop. $300 buys you the freshly-announced Stealthbox with 250GB of storage and built-in 802.11n Wi-Fi, a Kinect-ready auxiliary port and enough vents to hopefully make RRoD a thing a thing of the past. We'd tell you to read our early impressions and perhaps wait for our full guide, but if you've read this far you know what you want -- the preorder details -- and you'll find them three times over at our source links.